A few years ago, my monkey mind went into overdrive. Swinging from thought to thought inside my head, it would rarely settle, it would hardly rest. 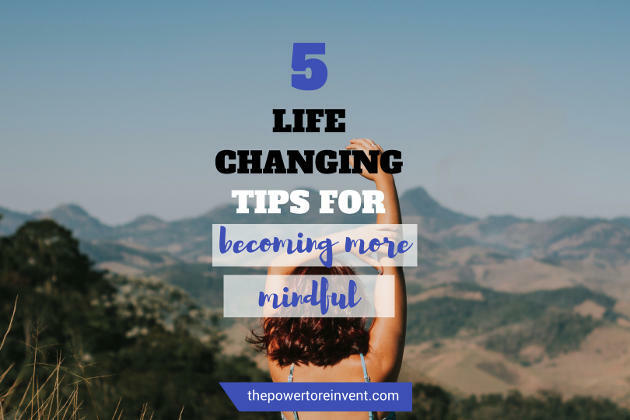 At that time, becoming more mindful was not top of my priority list. In fact, I didn’t want to be more mindful and I certainly didn’t appreciate the benefits of being mindful. Instead of slowing down my busy thoughts, I would happily build elaborate playgrounds for my monkey mind to frolic in. I really enjoyed the buzz — at least most of the time. In truth, I was frightened. 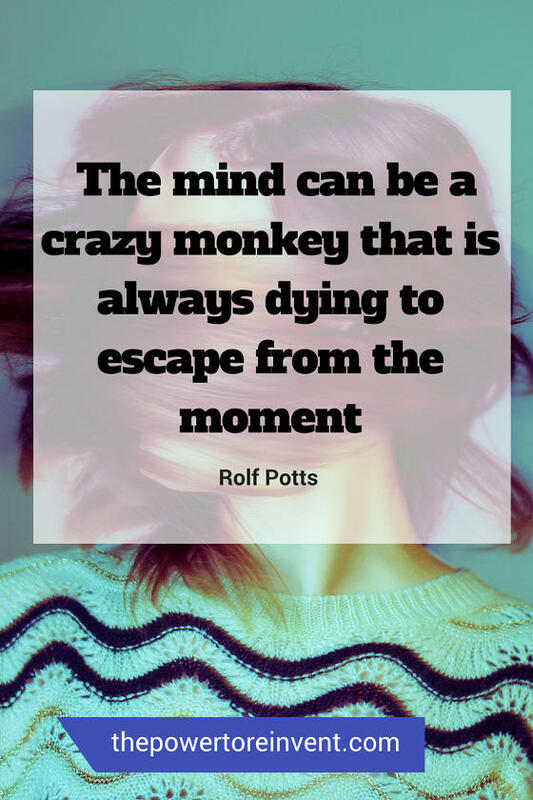 I didn’t know what would emerge if my monkey mind slowed down and my thoughts began to settle. I realise now that I was rarely living in the moment; too stressed, unfocused, and in a constant state of distraction. The time had come to make a change, to live in the present moment and be more mindful. To start with I would listen to guided meditations to help tame my monkey mind and I noticed a difference almost immediately. But the biggest source of learning for me came in 2016, before starting The Power to Reinvent, when I had the opportunity to live with monks in a forest monastery in Northern Thailand. It was there that I learned straight from the mindfulness masters. Now, I want to share that learning with you. These are my five tips on how to practise mindfulness (no ticket to Thailand or living in a monastery required). 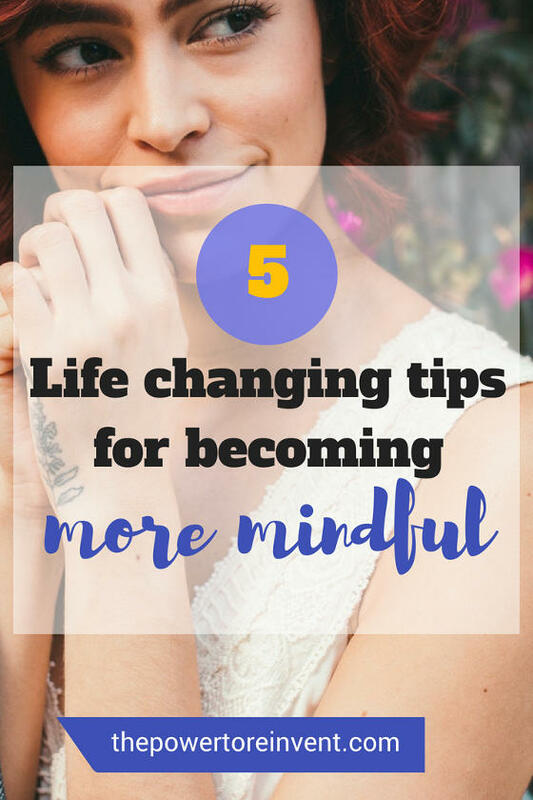 You’ll be amazed at the extraordinary impact being more mindful will have on your life. 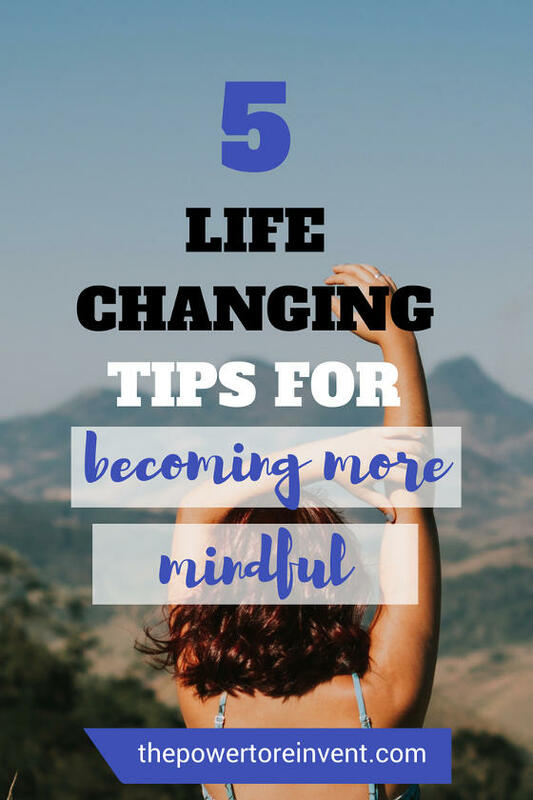 Being more mindful has transformed my life in the most incredible ways. Because of mindfulness practice, I now have more energy, feel more present and have better concentration levels than before. 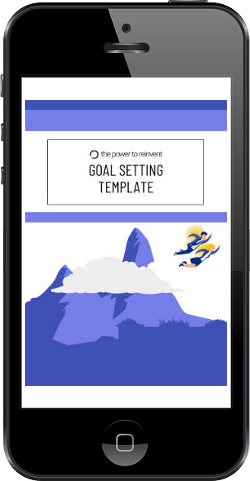 My productivity has increased and I’m able to overcome negative and stressful scenarios with greater ease. I’m also more in tune with my gut instinct now more than ever before. I feel truly connected to life. If you want the same, we got you. Let’s get into the top five tips I learned from monks in Thailand on how to practise mindfulness. 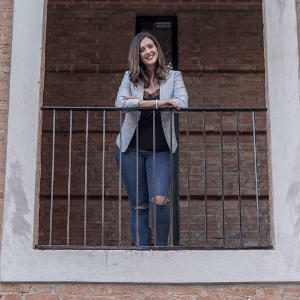 When I first arrived at the monastery, my knowledge of mindfulness was fairly limited so learning the concept of becoming the observer was all very new to me. It can be a tricky concept to grasp and it took me a little time to get my head around it at first. Put simply, the observer is a version of the self that is not connected to the body or to thoughts. To become the observer, we must train our minds to watch our thoughts, observing them as they arise. A common misconception is that being mindful means to stop thinking altogether. This is simply not true. Mindfulness isn’t about stopping thoughts but about observing them. To be mindful is to simply allow thoughts to arise and not attempt to change them or allow them to affect your feelings. Becoming the observer is a powerful process, and vital to becoming more mindful and in control your feelings. If you need a bit more explanation or interested to learn more, check out the TEDx Talk by Seba Haddad below. Seba explains the concept beautifully in very easy to understand terms. For many of us life is frantic and perhaps you’re wondering how to be more mindful at work? Or How to practise mindfulness throughout the day? Going for a mindful walk (perhaps on your lunch break) is a great and easy way of being more mindful. Mindfully walking around the grounds of the monastery was part of our everyday routine. It was an activity I really loved and one I continue to practise today. Mindful walking means walking slowly and with purpose (not racing around the park).If you don’t feel comfortable doing this activity in public. We suggest starting in your home, back garden or a secluded area. Being more mindful does not mean you’ll totally eradicate negative thoughts. Again, this was all very new to me. I thought that to be a master of mindfulness meant being pure, free from negative thoughts or emotions. But after having a conversation with a monk about how to be more mindful in life, he explained negative thoughts are part of the journey.He explained, mindfulness cannot protect you from negative thoughts but with training, it can reduce their impact. This is a real benefit of mindfulness. Mindful practices, when practised regularly, can protect you from the impact of negative emotional states. Before leaving the monastery, I felt free from my monkey mind and fully reconnected with myself. However, I had one question for the monks before I left: What was their advice for being more mindful in the outside world? The response was to take a moment and dedicate time. So, if you are seeking ways to be mindful in your hectic life. We suggest starting off with this simple exercise. Set a timer on your phone for 5 or 10 minutes and find a quiet spot. Sit still and just take a moment.Notice your breath, observe your thoughts, notice your body and observe your surroundings. Simply be still in the moment. This short exercise and a great way to integrate mindfulness. If you want to build on this, we suggest The Little Book of Mindfulness. Practise it for 10 minutes a day to less stress more peace is packed with great exercises for busy lives. Or try using the Headspace App, a guided meditation tool that serves as a great introduction to meditation for beginners. One question that people (including me) asked the monks repeatedly was ‘am I doing it right? The truth is that the mind is designed to wander. But with repeated practice, you’ll learn to recognise when your mind has gone for a bit of a stroll and know exactly how to bring it back again. Mindfulness is a skill. It takes time and disciple, just take small steps every day and don’t worry if you are doing it right. If you want to learn more developing mindfulness we recommend Wherever You Go, There You Are: Mindfulness Meditation in Everyday Life and Mindfulness: A Practical Guide to Awakening . Mindfulness is truly a transformational practice. As you start to integrate it into your everyday life, you will notice how you feel less stressed. You’ll see productivity and focus improve as you really enjoy being present in the moment. We’d love to hear from you – has becoming more mindful changed your life? What mindfulness advice would you like to share? Let us know in the comment section below.